Large-scale publishing and digital printing: How close are they? Home/Printing Industry News/Large-scale publishing and digital printing: How close are they? The progress of the printing industry can't be measured in direct lines between technologies and use cases. Development and deployment of new methodologies happen at inconsistent rates throughout the sector, and major changes in approach can take years to make themselves known. In this industry, which is naturally searching for new capabilities and markets in the age of digital media consumption, stakeholders will have to take a long view and watch trends change over time. The progress of digital printing has been one of the most promising and intriguing prospects within the printing business in the past few years. With each trade show and industry expo, the use of this technology has grown in its potential use cases and industry applications. The cost and flexibility benefits of using digital presses have been well-tracked over this time, and the opportunity to apply these traits to new markets has proved intriguing. In the months ahead, new milestones could fall. 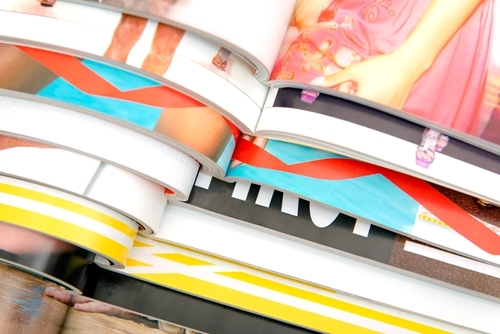 Digitally printed magazines: Ready for prime time? In a recent Printing Impressions column, Don Piontek examined the state of magazine printing, explaining the requirements keeping these publications from being produced on digital presses as well as the development breakthroughs that could bring them into being. The present level of inkjet technology from a print-quality perspective is the major issue facing publishers today, Piontek explained. In an era when it's easy to purchase a digital version of a given magazine, physical editions must be exceptionally produced to ensure consumers feel they are getting value from their choice of format. Once printers get over the hurdle of visual resolution and quality, they may be able to enhance their offerings in dramatic new ways, Piontek noted. This potential for change and improvement makes the push toward inkjet magazine printing worth watching. For instance, customized magazines with content that reflects subscribers' unique profiles is one possibility. Digital printers have freed service providers up to create one-off and unique deliverables at reasonable costs outside of the publishing world, and they could do the same within it. How close is the industry to turning the corner? Piontek explained that progress is being made in the creation of catalogs and magazine inserts. As for the quality necessary to create larger sections of publications on digital presses, it may be around the corner. Piontek pointed to 2018 as the year when the next group of powerful inkjet printers will enter the B2B space. These assets will help publishers experiment with their formats and offerings. This may prove helpful for editors who want to add to their portfolios and don't want to be constrained to online publishing. One of the reasons to push ahead with new ways of printing magazines, rather than simply retiring their physical editions, is the continued consumer interest in paper publications. Two Sides North America President Phil Riebel recently shared the results of his company's 2017 survey with WhatTheyThink. The organization spoke with over 10,000 consumers to try and ascertain how these individuals are consuming information today. As it turns out, printed publications still beat their digital equivalents in one-to-one comparisons. A few of the magazine-based statistics from around the world show what percentages of the population are still interested in consuming physical media. For example, 78 percent of U.K. readers prefer printed magazines to digital versions. More than 7 in every 10 Americans prefers reading printed magazines instead of turning to e-readers, tablets or phones. In Italy, 57 percent of people read magazines every week. As digital ways to consume information have become more common and accessible, people have continued to look for ways to switch them off – magazines can be such a respite. By acting as a form of visually appealing counter-programming, printed publications can find their niche in a world dominated by digital information. This should be a promising indication for publishers. This extends to advertisers looking for places to spread their messages. More than half of U.S. respondents told Two Sides they're more likely to follow up on ads in printed publications than ones they see while browsing the internet. The improvement of physical magazines through the addition of qualities associated with online information – low cost of production and the possibility of customization – could help publishers embrace a "best of both worlds" model. Looking for ideal ways to serve their subscribers, they can embrace new technology and play into modern consumers' preferences for experiences that let them unplug, relax and absorb information. While the processes and assets needed to bring these high-quality custom magazines to life aren't commonly available yet, their upcoming debut shows off the kind of creative innovation that can keep print service providers vital throughout the years. When an industry is forced to suit a niche, as print has done over the past few decades, potential new breakthroughs within its capabilities and parameters hold huge possible value – digital magazine printing is one such path. By Wise Marketing|2017-11-03T13:15:42+00:00November 3rd, 2017|Printing Industry News|Comments Off on Large-scale publishing and digital printing: How close are they?